Basilica of Sant'Apollinare Nuovo in Ravenna, Italy: "The port of Classis". 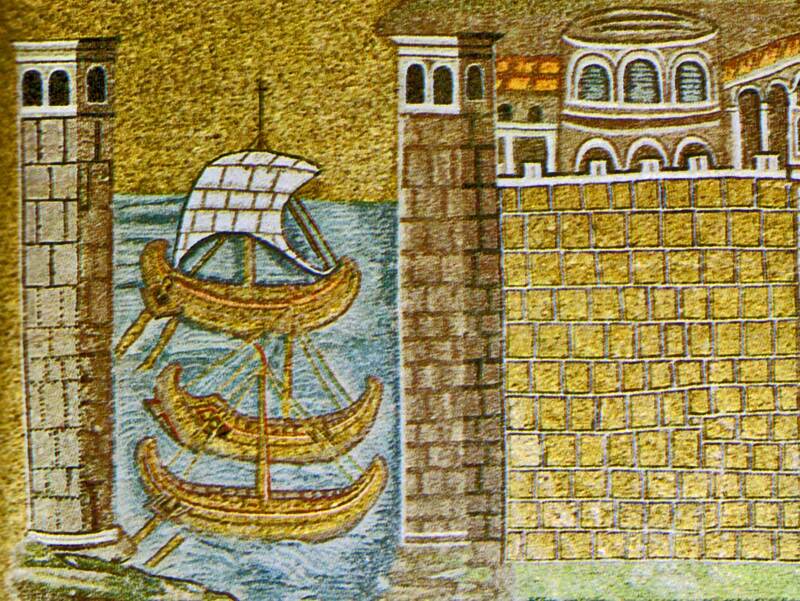 Mosaic of a Ravennate italian-byzantine workshop, completed within 526 AD by the so-called "Master of Sant'Apollinare". This conference forms part of the British Academy sponsored Adriatic Connections research programme and is organized jointly by the British School at Athens and the British School at Rome.